Recently I have been attached with a healthy beverage mix purple sweet potato powder with oat bran. It is the product of Lazior called MayterLynn. It is in powder form and purple in color. I consume a cup of it during breakfast, afternoon tea, dinner or supper, whenever I feel hungry. It is actually a suitable beverage that you can take it as part of your diet plan. 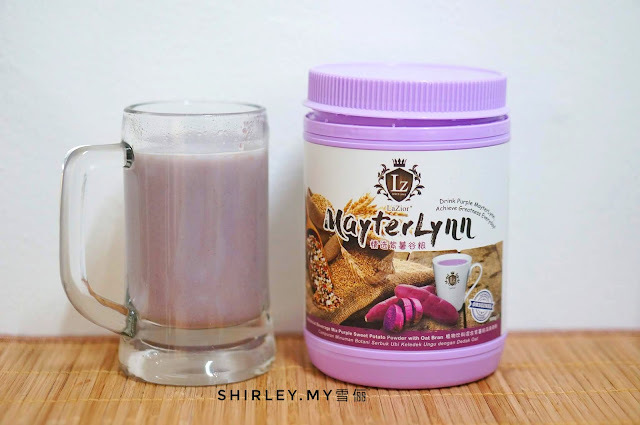 This is because MayterLynn provides the energy that the body needs, increases safety, reduces the absorption of excess calories to achieve slimming effect. So, I decide to try this out to slim down. What are ingredients used to produce MayterLynn? Purple sweet potato powder, brown rice, black sesame, oat bran, oat flakes, black glutinous rice, black bean, read bean, green bean, soy bean, black eyed pea, pearl barley, wheat, sorghum rice, buckwheat, soluble fiber, inulin, Apple fiber, flaxseed oil powder and stevia extract. ❤️Anthocyanin - antioxidant, free radical scavenging, skin anti-aging for improving skin texture. ❤️Amino Acids - enhance physical fitness, endocrine conditioning. ❤️Selenium - repair heart muscles, strengthen the function of immune system. ❤️ Cellulose - promote gastrointestinal motility, help digestion. ❤️Vitamins - lose weight, anticancer. ❤️Iron element - anti-fatigue, anti-aging, enrich blood. 1st, take two full tablespoons of MaterLynn. 2nd, pour 200ml hot or warn water into the cup. 3rd, stir well and enjoy MaterLynn. It is pretty delicious. It's just nice to have a cup of MayterLynn whenever I'm feeling hungry. 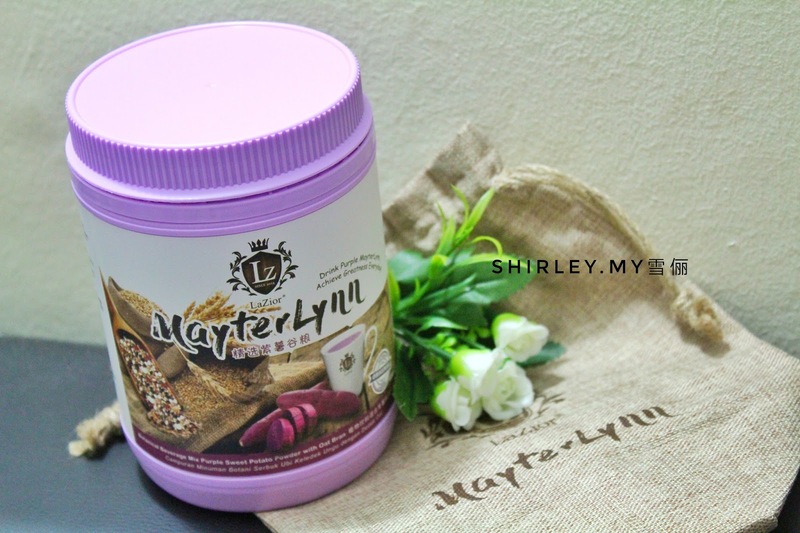 MayterLynn is rich with OMEGA-3. ⚫Protect cell membrane and retina of the eye. ⚫ Prevent and relieve dry eyes. ⚫Reduce blood vessel blockage and the risk of atherosclerosis. ⚫ Slow down for prostate cancer cell of proliferation. ⚫ Help brain for intellectual development. 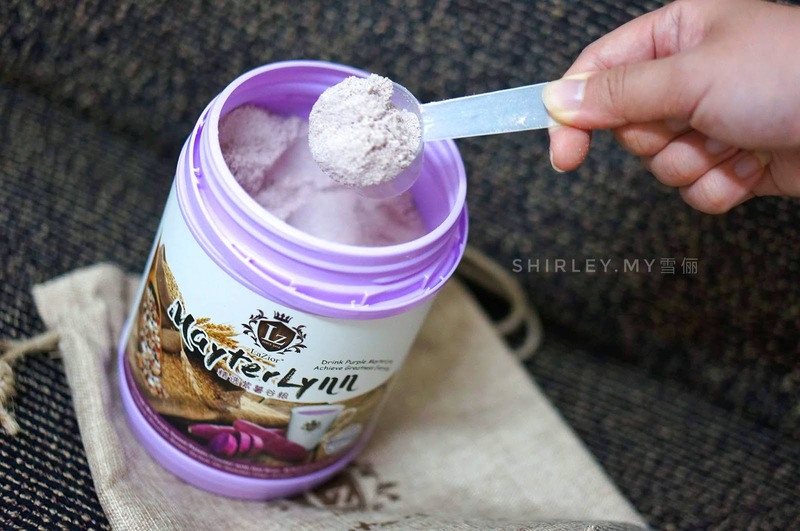 MayterLynn does not contain any sugar because it uses stevia extract which can prevent gestational diabetes. I'm happy that I'm having MayterLynn as a part of my life right now.